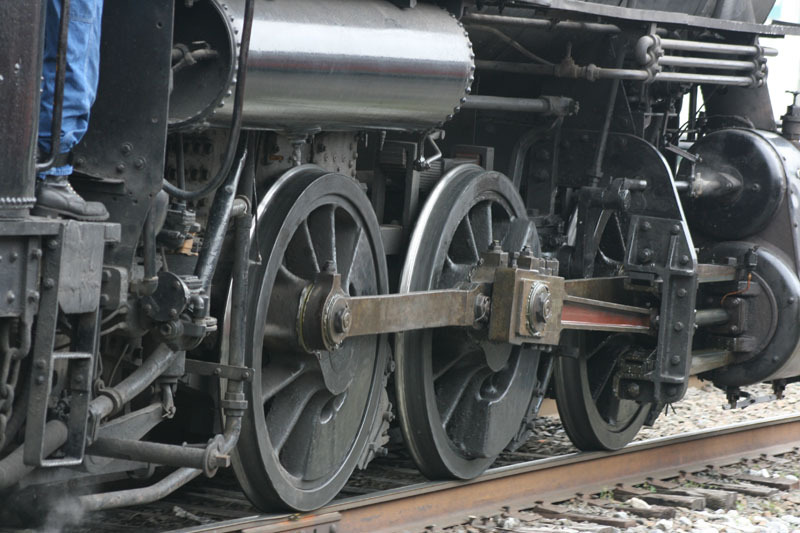 This is the wonderful Strasburg Train. It doesn’t travel very far in miles but it travels decades back in time! This train and it’s station are a wonderful way to spend a delightful afternoon with family and friends. 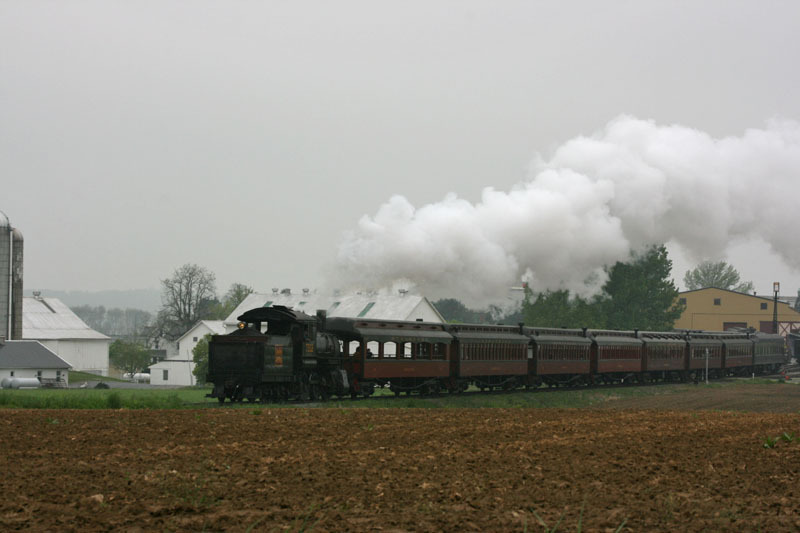 Located in Strasburg Pa. you can enjoy the countryside, and farms while on the train or just driving around. 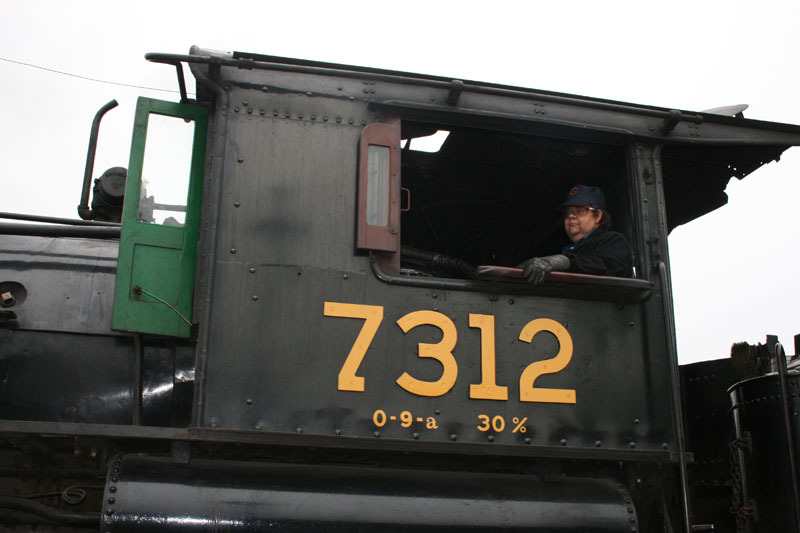 The Strasburg Rail Road offers alot of fun events with Thomas the Train coming in early December and Santa also riding the train later in the month. Check their website for details, directions and tickets. If you plan to go to either special event you should purchase your tickets on line ahead of time because they get booked and I would hate to see you disappointed. The train is a 4 and one half mile trip and they have both closed, open and dining cars. They also have a Locomotive Museum across the street. There is also motel called The Caboose where the rooms are actually train cars. Haven’t stayed there – looks very interesting!!!! Doesn’t he look very official! He was also very nice. Even though the sign said – keep your head inside the windows – I of course could not resist the photo opoprtunity as the train was at a local stop. Unfortunately, my glasses fell off my head onto the ground as I was being creative. All the kids laughed and said it was my fault cause I didn’t obey the sign. 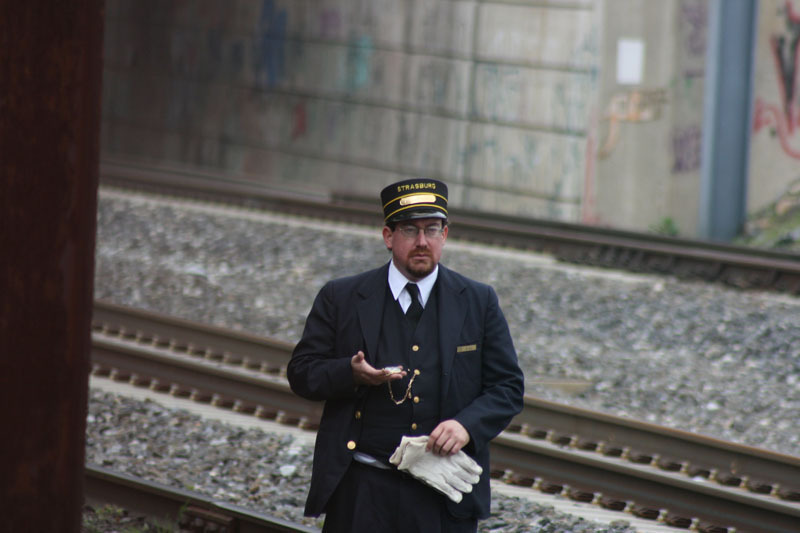 Embarassed, yet again, I had to call to the conductor and ask him to retrieve my glasses. He was kind of cute in that uniform, maybe I did it on purpose!! 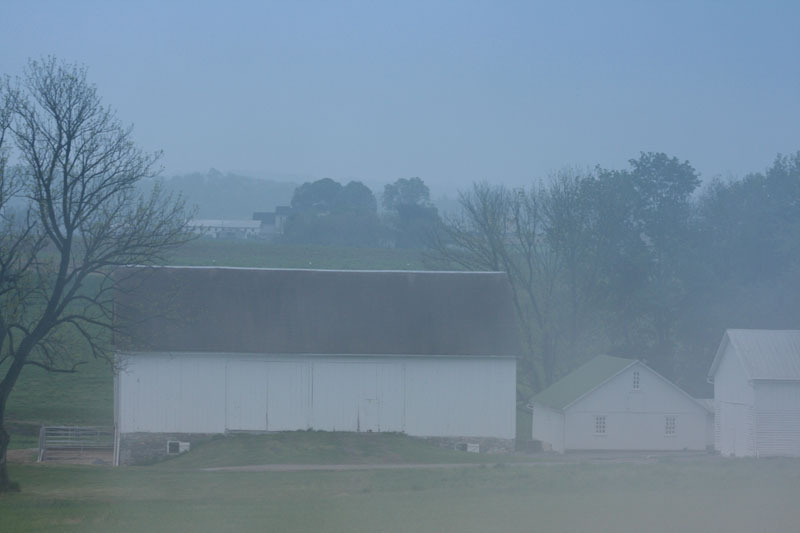 This barn looks so foggy because the steam from the engine was blowing right in front it. I rather like the misty look. 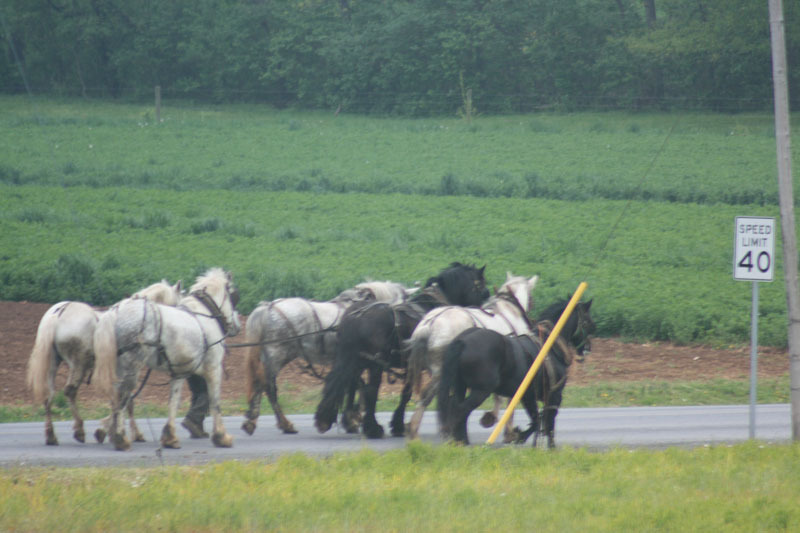 And if you are lucky you will get to see the Amish and thier team. Can you see the farmer in this photo? Hope you have a great time if you can make it out here. It is worth the trip.